Martha Rosenberg’s scrutiny of Big Pharma and agribusiness is so bleak and unrelenting, it sometimes seems to go beyond muckraking into something more closely resembling war correspondence. On one side of the battlefield are the pharmaceutical companies, depicted here as blockbuster-fixated marketing organizations that, having run thin of obvious diseases to treat, seek to convert the fixed circumstances of life—being young, being old, being male, being female—into medicable ailments. Their comrades-in-arms are Monsanto and other gene-tinkering research companies, whose overarching mission is to overwhelm and supplant nature with profit-driven science. Allied with both of them are revolving-door regulatory agencies and interest-conflicted professional associations, and much of the authority and knowledge structure of society, from the military to the university to the media. On the other side is just… us, reduced to guinea pigs and passive inhabitants of an increasingly chemicalized reality. Only in America are prescription drugs treated as advertisable commodities, creating the widespread impression, after sufficient battering by pharmaceutical TV commercials, that every variety of human suffering and inadequacy is a preventable symptom of pill deficiency, and producing an irresistible pressure on even the most conscientious of physicians to prescribe, prescribe, prescribe. Author Martha Rosenberg—an Evanston-based writer and cartoonist whose pithy if rough graphics dot the text—notes the predictable result of this unequal contest: Direct-to-consumer advertising means that the U.S. has the “sickest people in the world,” at least in our own media-chondriacal imaginations, while the glut of highly advertised junk food saps our vitality and leaves us vulnerable to such preventable conditions as obesity and type-II diabetes. According to Rosenberg, the agribusiness and pharma industries are locked in unholy commercial embrace, the food suppliers creating the chronic illnesses, unknown to less-affluent societies, that Big Pharma expensively prolongs, while the pharmaceutical companies supply the livestock antibiotics and growth hormones that make possible the humanitarian and health horrors of factory farming. Instrumental in legitimizing this marketing strategy are figures such as Dr. Joseph Biederman, “credited with ballooning the diagnosis of bipolar disorder in children by as much as forty-fold.” Biederman created the Johnson & Johnson Center for the Study of Pediatric Psychopathology at the Harvard University-affiliated Massachusetts General Hospital, promising J&J that in exchange for its largesse, he would “support the safety and effectiveness of risperidone [Risperdal] in this age group.” Not content to pimp for the drug maker, Dr. Biederman also raked in millions in government research grants. In 2008, following congressional investigation of his activities, he promised to suspend his industry-linked experiments. But the damage was done, and has not been undone. Another prime market for psychotropic drugs is the ailing elderly, who are in no position to question or resist their caregivers. The so-called “atypical anti-psychotics” introduced in the 1990s are frequently used off-label in nursing homes to pharmaceutically lobotomize “difficult” residents with dementia. The antipsychotics double mortality in older patients, meaning that perhaps 15,000 nursing-home inhabitants die each year from “improper” use of these drugs. These prescribing patterns, notes the author, are encouraged by massive ad campaigns and sales reps who ply doctors with samples. Medical opinion is also subject to the influence of manufacturer-sponsored Astroturf advocacy groups, as well as ghostwritten journal articles and questionable continuing education courses that push the use of particular drugs while neglecting to discuss side effects or alternative therapies. Beyond hawking individual products, the multi-billion-dollar marketing campaign promotes a credulously pharma-friendly ideology that permeates professional circles and society at large. The use of powerful psychotropic drugs as agents of control reaches its apogee in the Pentagon, which has created the world’s most heavily medicated army. Overwhelmed by cases of post-traumatic stress disorder, the military has become a major drug purchaser and prescriber, pushing every variety of psycho-panacea on shell-shocked GIs and returnees from Iraq and Afghanistan. Dozens of soldiers have died of accidental overdoses caused by lethal cocktails of anti-depressants, sedatives, anxiety relievers, painkillers and more, each drug counteracting the side effects of the last one, until the system collapses under the unrelenting chemical shock and awe. Overdose and deadly interaction are by no means the only risks associated with these drugs. The accounts of drug-linked suicide and murder have become so legion that a Web site— “SSRIStories”—was created to archive the prescription medication-related havoc. 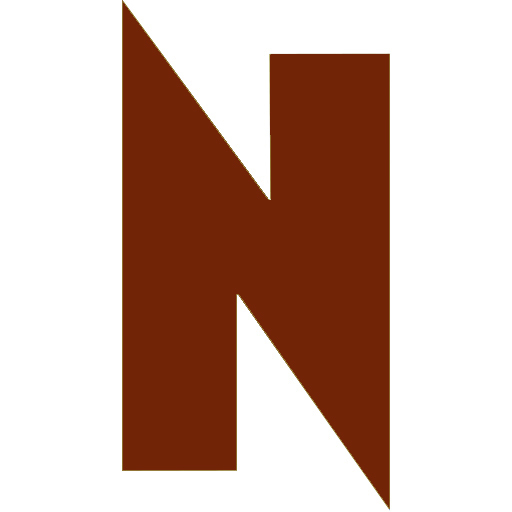 It now contains over 5,000 published reports. “The kind of energy, rage and insanity seen in a lot of crimes today was not seen before SSRIs appeared,” says the site’s founder, referring to Prozac and related drugs that—like cocaine and amphetamines—work by enhancing the neurotransmitter serotonin. From self-immolation to biting attacks to parents drowning their own children, SSRIStories’ tales constitute a real-life horror show. The violence reflects the paradoxical nature of psychoactive drugs, which, in manhandling the delicately and inscrutably complex workings of the brain, can induce or accentuate the very symptoms they are supposed to treat. The pharmaceutical companies’ response to the problem of psychotic drug reaction is to insist that criticism of their products or practices contributes to SSRI-phobia, leading to dangerous “noncompliance” among the pill-deficient multitudes. This claim is made in the name of science—even though, after decades of research, no firm causality has ever been established between serotonin levels and depression. As even children and other non-scientists know, the flow of time is not so easily reversed, nor is nature cheerfully defied. A 2002 study found that HRT doubled the risk of developing blood clots and dementia, while increasing the likelihood of breast cancer by twenty-six percent, heart attacks by twenty-nine percent and strokes by forty-one percent. The results were so clear and devastating that the study had to be shut down early for safety reasons. None of the earlier, discredited research—much of it ghostwritten on Big Pharma’s dime—has been retracted. Nor have the peer-reviewed journals bothered to draw conclusions from the fact that the year after HRT slunk away from the marketplace, breast cancer rates dropped seven percent—the first significant dip in morbidity ever recorded. Fourteen-thousand women who likely would have developed breast cancer in 2003 did not, because their doctors had not prescribed a toxic pseudo-cure for a well-hyped non-disease. Despite all the suffering and death, horse-pee marketer Wyeth and its retinue of co-opted researchers still extol the miracle of estrogen replacement, a “therapy” that continues to rise ghoulishly from the intellectual graveyard of greed-driven junk science. 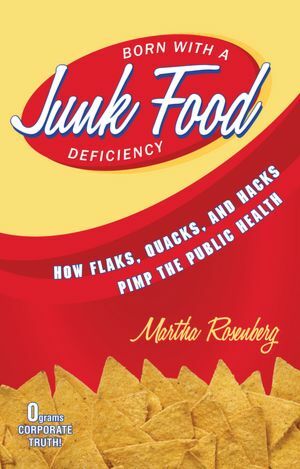 Having dealt decisively with Big Pharma in Part I of her book, Rosenberg then aims her fire at the agribusiness complex, which is responsible for what she calls “the drugstore in your meat,” not to mention the animal concentration camps known as factory farms, and the vast and uncontrolled biotech experiment called genetic modification. We read here about the “AquAdvantage salmon,” a Frankenfish engineered to achieve full growth in half the usual time. It does this by eating five times as many little fish as ordinary Atlantic salmon, something to keep in mind if any of the finny gluttons escape captivity and breed with their wild cousins, which apparently they can. In its bureaucratic wisdom, the FDA declared the modified fish a “new animal drug” rather than a food—which in turn means that approval rests upon a panel consisting largely of veterinarians, not human doctors. If AquAdvantage ever does come to market, it will be consumers who serve as test animals for these possibly allergenic and maybe even carcinogenic mutants of the deep. As the world’s fisheries collapse due to over-harvesting, pollution and climate change, the AquAdvantage salmon is touted as a solution to the coming food crisis. But what are the ethical, environmental and health implications of raising voracious faux fish in hideously overcrowded pools swarming with up to 100 salmon per cubic meter? Is further, ever more radical destabilization of nature really the answer to the ongoing disruption of the oceanic and terrestrial ecologies that anchor the chain of life? Who but a madman—or an adman—could think so? The larger and deeper story told here is about corporate science, activated by avarice and PR and unrestrained by any precautionary principle, which has itself mutated into something reckless, grandiose, delusional and dangerous—in a word, insane. Lacking a tough, well-funded and independent regulatory apparatus, the public confronts this berserk, high-tech Goliath without even a sling. We are thrown upon our own resources and have no choice but to fight for safety and sanity by becoming our own researchers, advocates, activists and organizers. Martha Rosenberg discusses her book Thursday, August 16 at 7 pm at the Evanston Public Library,1703 Orrington Avenue, Evanston, (847)448-8630.